As soon as the weather turns cold and the snow starts to fall, I start baking! A warm oven helps warm up a cold house better than anything else. And bonus, there are lots of delicious treats around to welcome in the holiday season. 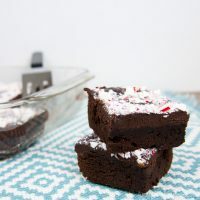 Last week as I was warming up an extremely cold house, I was playing around with two of my favorite Christmas ingredients: peppermint and chocolate and the result was these amazing Chewy Brownies with Peppermint Ganache. These brownies are the best brownies ever. Seriously, they are a nice chewy brownie with loads of chocolate. There are no cake-like brownies here. 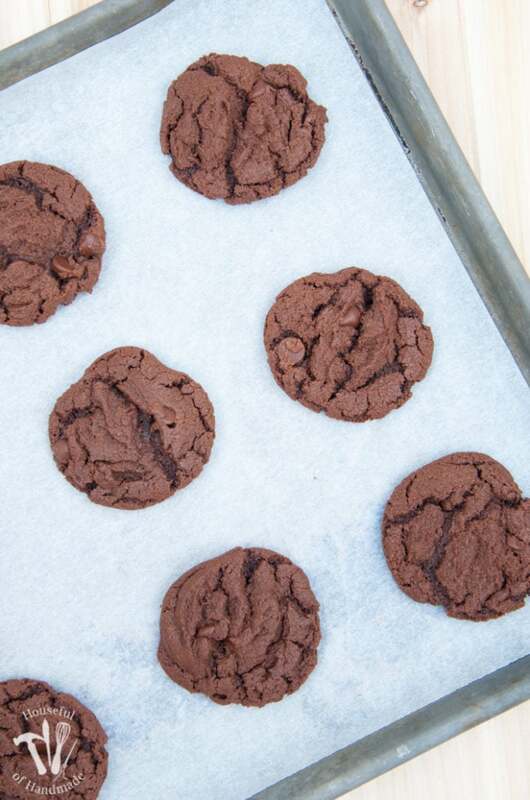 Instead these super quick to make brownies are more fudge-like. To ensure the gooiest, fudgiest brownies ever, make sure not to skip the refrigerator step. I know, waiting for a few hours after the brownies are baked just seems wrong. And it’s almost impossible not to eat them hot out of the oven, but your patience will pay off. 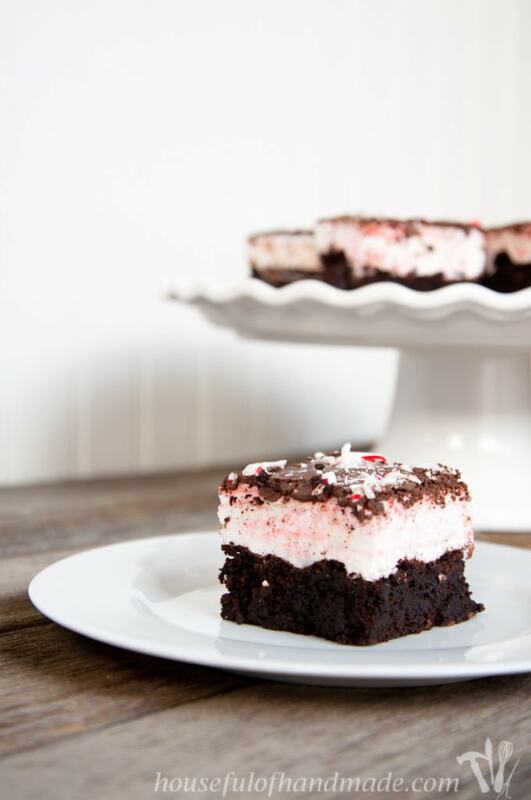 But since I believe there is no such thing as too much chocolate, I took these chewy brownies up about 10 notches by frosting them in a chocolate peppermint ganache. If you’ve never made a ganache before, get ready to be addicted. A ganache seems like such a complicated thing, but it’s actually so ridiculously easy. All you need to do is pour heated cream over chocolate chips. Then after the chocolate has a chance to soften in the hot milk, you whisk them together to make a creamy smooth chocolate paste that you can just eat with a spoon (and I do eat it with a spoon quite often). 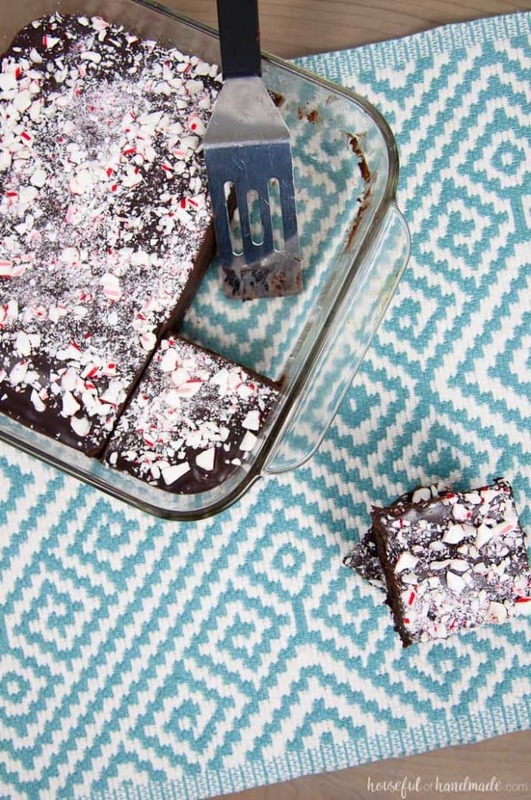 These chewy brownies with peppermint ganache are the best Christmas treat around. And because they are so quick and easy to make, you will be able to mix up a pan whenever you get the urge (and I promise you will get the urge often). I plan on taking these to every party we have this month! 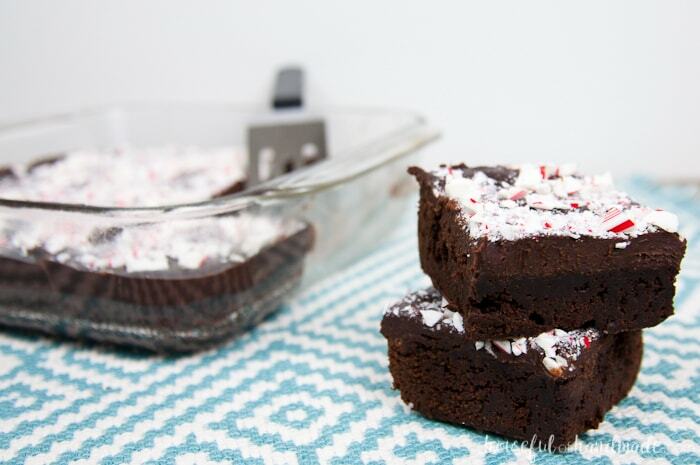 These are the perfect brownies for Christmas! 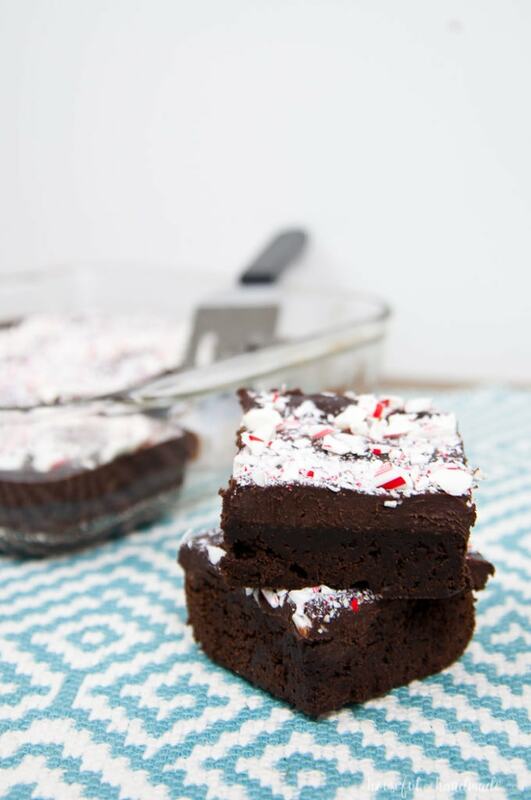 You are going to fall in love with these easy to make Chewy Brownies with Peppermint Ganache. These fudge brownies make the best treats for the season. Preheat oven to 350 degrees F. Lightly grease an 8x8 baking pan. In a large mixing bowl, whisk together melted butter, sugar, eggs, and vanilla. Add dry ingredients and whisk until combined. Pour into the baking pan and spread to the corners. Bake for 20-25 minutes or until toothpick inserted in the middle comes out with crumbs. While the brownies cool, pour the chocolate chips in a medium bowl. Mix the peppermint oil into the whipping cream. Heat the whipping cream in the microwave until hot, but not boiling (about 1 minute). Pour the hot cream over the chocolate chips and let sit for 2-3 minutes. Whisk the chocolate and cream together until smooth. Pour over the top of the brownies and spread evenly. Refrigerate brownies for a couple hours or overnight. 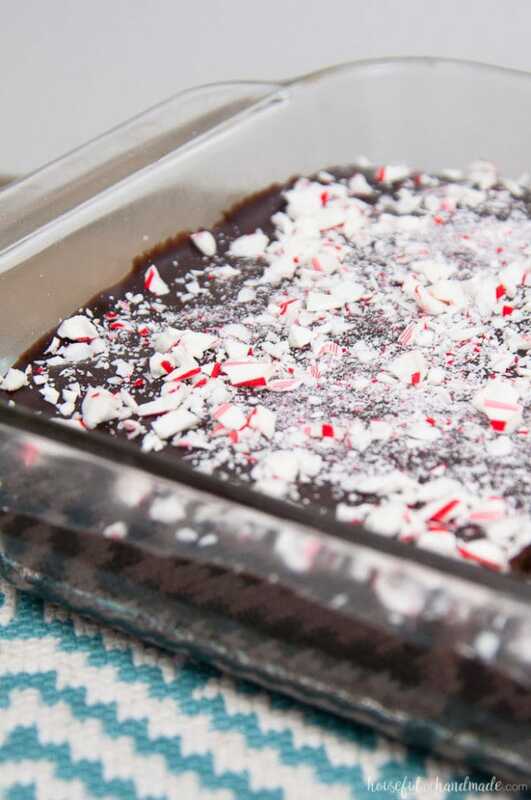 Sprinkle with crushed up candy canes before serving. Here’s to a chocolate Christmas! SORRY, I CAN T SEE THE RECIPE !!! I’m so sorry, I was having some issues these last couple days. I think it is finally fixed! These look amazing! Pinning. Brownies are my go to dessert! Me too! I love that the are so easy to make. Enjoy! These look and sound delicious! I’ve never even heard of ganache, but it sounds delicious as well. Will have to try these, surprise the hubby. 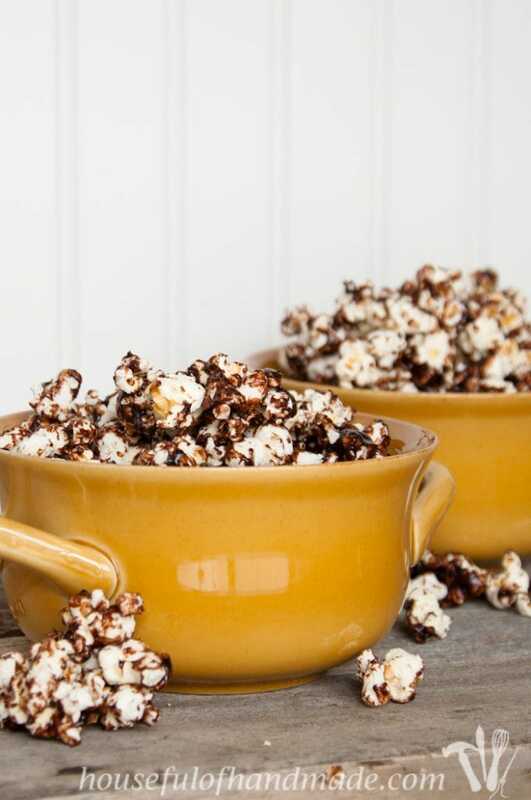 Thanks for sharing, pinning these to try!